They’ve stepped into the gap, offering practical support to the thousands arriving daily on their shores. Over 1 million people arrived in Europe by sea in 2015—the vast majority fleeing war and persecution in Syria and the wider Middle East, according to the Office of the United Nations High Commissioner for Refugees (UNHCR), the UN’s refugee agency. 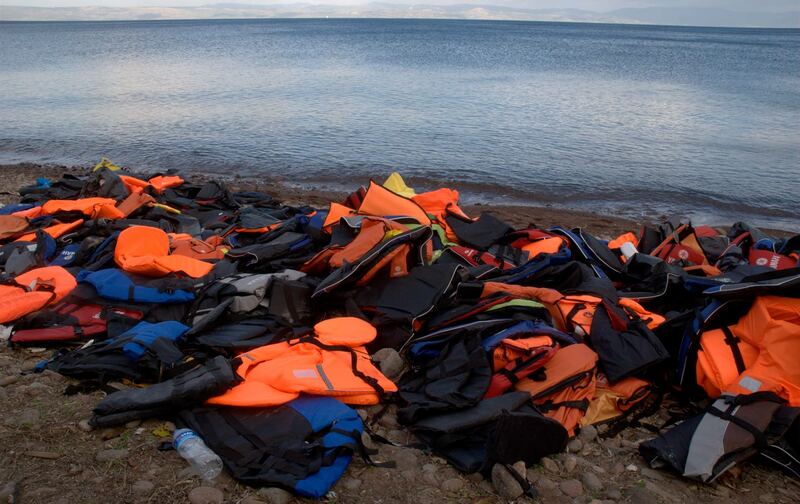 Greece received a staggering 851,319 of these people, with half a million landing on Lesbos alone. 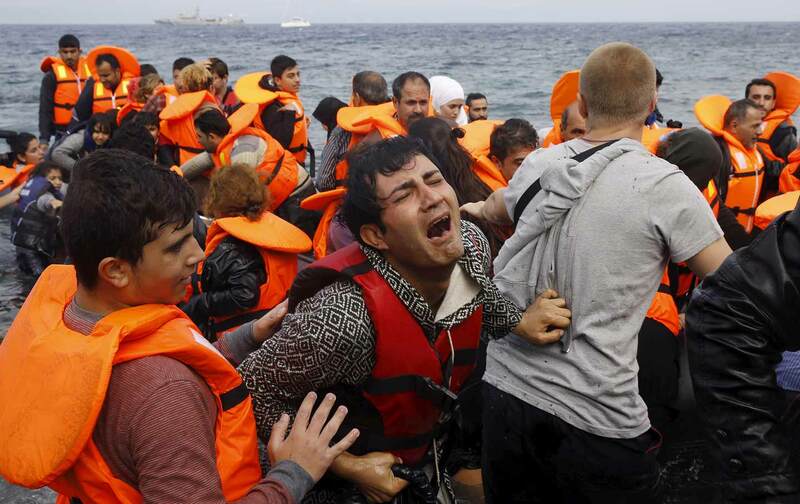 The Mediterranean is now the deadliest migration route in the world. Last year, 3,770 people died or went missing on this short sea crossing, made more perilous by people-smuggling gangs who frequently overload unseaworthy boats at gunpoint. As signatories to the 1951 Refugee Convention, the European Union and its member states are responsible for providing reception and asylum. But the system is broken, falling far short of international law and the human-rights standards enshrined in the convention. Some of the factors driving this crisis are policy-driven, chief among them the European Union’s failure to agree on and implement a coherent policy that acknowledges the unstoppable flow of displaced people; its attempts to reduce refugee numbers through the militarization of land and sea borders; its unrealistic €3 billion deal with Turkey to stem the flow; and its tendency to blame Greece for the crisis—or, worse, to insist that Greece shoulder an impossible burden. Unwilling to share responsibility for the refugees, the EU expects Greece, now in its seventh year of deep recession, to be the gatekeeper for Europe simply by virtue of its geographical location. This February, the EU gave Greece a three-month deadline to greatly reduce migrant sea crossings; if it doesn’t comply, it risks expulsion from the 26-country, passport-free Schengen area. Greeks see this demand as undue punishment for not succeeding at the impossible task of securing their country’s 8,497 miles of coastline—the longest sea border in the EU. But while Greeks are angry at having become a scapegoat for Europe’s immigration woes, they’re far from satisfied with their own government’s response. When it was in opposition, the leftist Syriza party—especially leader and future prime minister Alexis Tsipras—criticized the immigration policies of the mainstream parties as inhumane. Tsipras also vowed to close the country’s migrant-detention centers, whose conditions had been called “degrading” by the European Court of Human Rights. The centers are now slated to stay open until 2018. While the government was sitting on its hands and EU leaders floundered, the Greek people stepped into the gap, offering heroic practical support to the thousands of refugees arriving daily. Two cultural practices deeply embedded in Greek society—philotimo, honor and respect expressed as acts of generosity and sacrifice; and philoxenia, hospitality to strangers—may explain why Greeks, despite limited means, have been assisting people transiting through their country. Many Greeks also have refugee experiences in their family history. 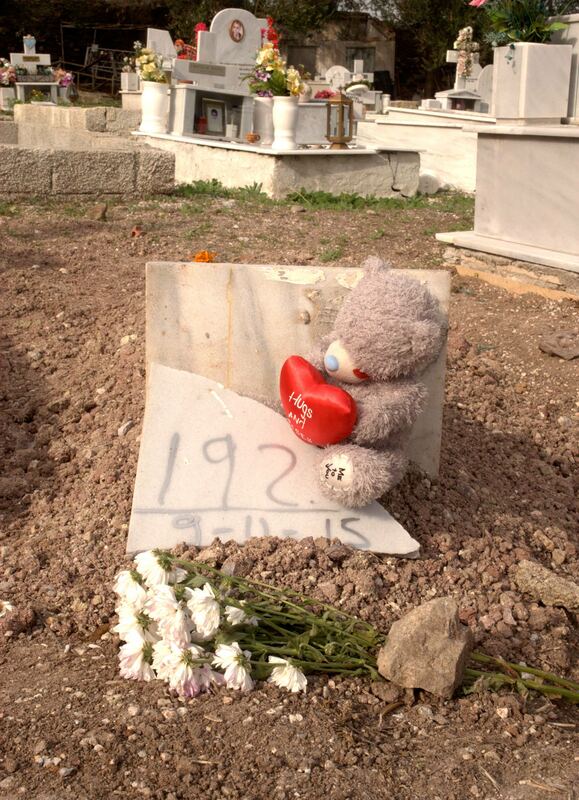 In the last hundred years, Greece has been through two world wars, the 1922 war with Turkey, a civil war, and a military dictatorship, each of which forced thousands to flee. Fotis, a Sykamnias resident whose stone and wood house was built by his grandfather in 1887, says that last summer the village was so jammed with people arriving every day that it often took 30 minutes to drive 20 yards. Trash was piling up everywhere, and in the lane next to his house, groups of refugees were lighting fires, even in 100-degree heat. “I was so worried about the fire hazard that I bought a 90-foot hose and was constantly running to extinguish campfires—a whole summer of sleepless nights.” But Fotis (who requested that I use only his first name) continued to help transport refugees—and risked arrest in doing so, since it was a criminal offense until the UNHCR lobbied the Greek government to amend the law. Last year, local groups were the only ones providing daily meals at Mytilini’s port and at the registration facility in nearby Moria set up in August. The PIKPA refugee shelter, established near Mytilini in 2012 to assist Greeks in crisis, operates entirely on volunteer labor and donations. “PIKPA serves the most vulnerable people arriving on Lesbos—shipwreck survivors, pregnant women, families with newborn babies and young children, asylum seekers looking for family reunion,” says Mytilini local and PIKPA volunteer Yulie Tzirou. In addition to providing short-term accommodation for transiting refugees, the camp is a central point for the distribution of humanitarian aid on Lesbos. Volunteers also cook and serve hundreds, sometimes thousands, of hot meals every day and have even boosted the capacity of NGOs on the island, like Mercy Worldwide. By December, volunteer groups had transformed the Moria camp through improved sanitation, a field hospital, on-site storage, and tents. 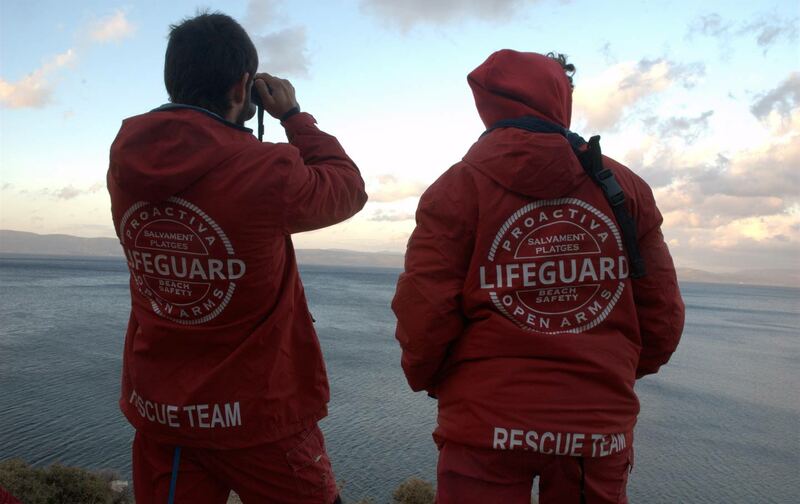 On the north coast, 40 miles from Moria, volunteer lifeguards from Proactiva Open Arms and Team Humanity had consolidated their sea-rescue teams and equipment, and the local group Platanos Refugee Solidarity had set up a winter beach camp to continue distributing hot meals and clothing to people getting off boats in freezing conditions. The deployment of NATO warships to stop the exodus from Turkey came just as some 70,000 refugees were amassing on the Turkish-Syrian border and 300,000 Aleppo civilians prepared to flee in the wake of a massive assault by the Assad regime, aided by heavy Russian bombing. Last November, the European Union started classifying asylum seekers by nationality. Those not from Syria, Iraq, or Afghanistan are deemed economic migrants and cannot register to have their claims heard. The EU now wants to reintroduce the Dublin regulation, which mandates the return of asylum seekers to the first EU country they entered. These policies, alongside five new “hot spot” detention centers on the Greek islands and two refugee camps near Athens (due to open by the end of February, just as Macedonia prepares to permanently close its southern border) will trap thousands of people and ring-fence Greece, transforming it into a holding bay and deportation point—a permanent buffer zone against refugees trying to reach northern Europe. The UNHCR, human-rights and humanitarian-aid groups, and European citizens in solidarity with refugees and opposed to what they call “Fortress Europe” continue to demand safe passage and a dignified reception for refugees. Kia MistilisKia Mistilis (@kiamistilis) is a freelance journalist and photographer based in Athens.